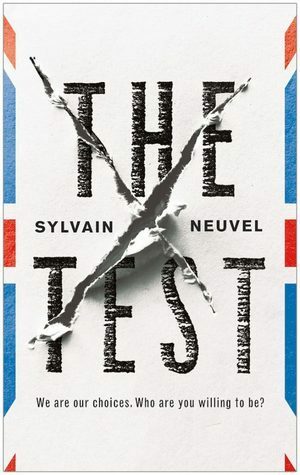 I requested a copy of The Test by Sylvain Neuvel from Tor.com to review. I saw some amazing reviews from my reader friends so I was eager to give this book a try. Even with its short page count, The Test packs a major punch. This book will make you question what it means to be human, what you expect from others, and how far you would go for the people you love. Click here for the Synopsis! Award-winning author Sylvain Neuvel explores an immigration dystopia in The Test Britain, the not-too-distant future. Idir is sitting the British Citizenship Test. He wants his family to belong. Twenty-five questions to determine their fate. Twenty-five chances to impress. When the test takes an unexpected and tragic turn, Idir is handed the power of life and death. How do you value a life when all you have is multiple choice? In general, I find the idea of citizenship tests terrifying and somewhat outdated. While I understand that some level of checks need to exist before a person is given citizenship in a new country, I’m not sure that knowing a lot of historical facts is a valid indicator of patriotism. It’s difficult to talk about this book without addressing big political issues like immigration law, border security, and nationalism. The Test presents a sort of worst-case scenario. A situation where people forced to flee war-torn struggling countries are forced to take the most difficult citizenship test imaginable. The citizenship test is only given to the patriarch of each family seeking refuge in Britain. They engage in this exam willingly in an effort to secure a better life for their spouses and children. They come to Britain from places rife with bloodshed and violence. They just want to wake up in a place where they don’t have to fear for their lives with every breath. Before they can have that, they have to pass Britain’s test. I won’t say too much about the test itself, but I think you can get an idea of the weight of this event in Idir, the main character’s life. He does his best to prepare and perform well, but ultimately no amount of preparation would be enough. I left the book asking myself how this version of reality came to be. I wondered how few steps it would take to reach this point today. The scary thing for me is that I don’t believe it would take much. I would dare anyone to read this book and laugh it off as a far-flung vision of science fiction. In many ways, people seeking safety in America are already expected to weather the worst test of their lives in order to stay. The Test is not a happy book, and it’s not necessarily one that will give you hope. It’s a book that will force you to think twice every time a story about immigration is on the news. It will make you question your response to senseless violence, and to rethink what it means to live in a country with “freedom”. Huge thanks to Tor.com for sending this book my way, and to Neuvel for writing it. It’s just the kind of thought-provoking read I love. If you’ve read The Test, let me know your thoughts in the comments. If you haven’t yet, it will be on shelves March 1st of this year! I need to read those! They’re so beautiful. Enter your email address to follow Tinted Prose and receive notifications of new posts by email.